It'll give you chills, in every sense of the word. Dreaming of a white Christmas? 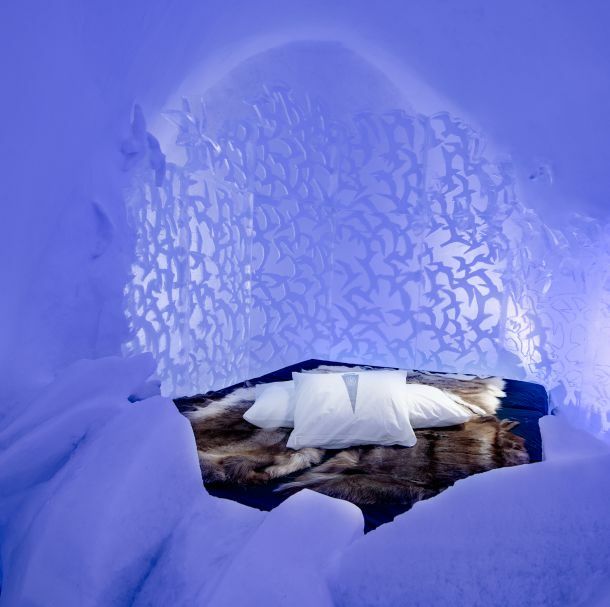 It may be too late to venture over to Sweden in time for the holiday, but you can fulfill your snow and ice quota with a winter visit to the country's newest Icehotel, a massive igloo-like structure that yes, you can totally stay in. 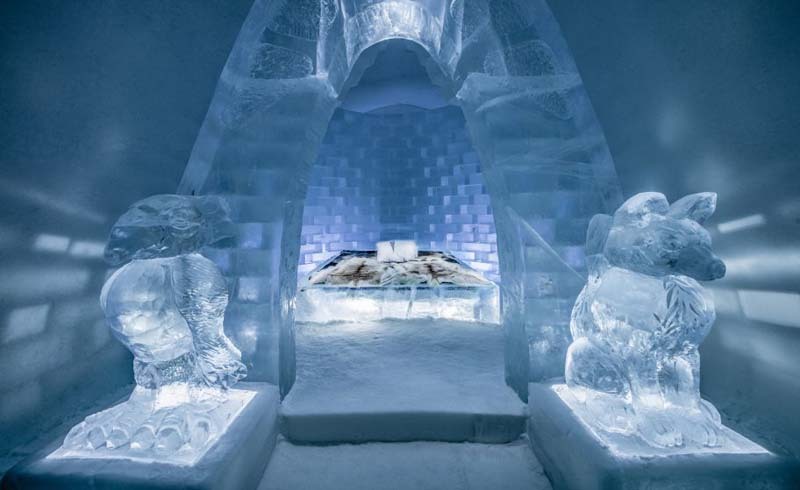 The Icehotel, in case you're unfamiliar, is a pop-up hotel made entirely of ice, and it's been an annual winter tradition in Jukkasjärvi, Sweden since 1989. Each year the hotel is rebuilt with the help of different artists and designers. Now in its 29th year, the latest Icehotel is officially open to visitors—and with the amount of work and creativity that went into this impressive structure, you're definitely going to want to check it out before it melts in the spring. 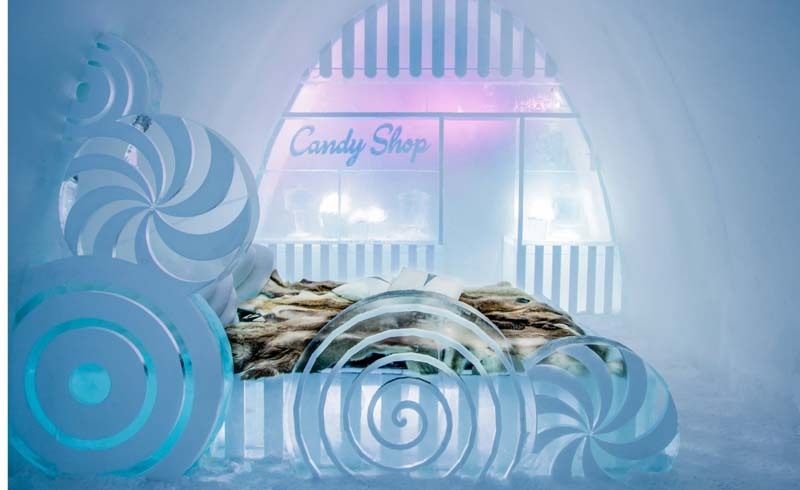 This year's Icehotel design includes a main lobby and an events hall, along with 15 art suites which were sculpted by 33 different artists from around the world. Each suite is different, with intricate designs inspired by themes like the ocean and even an RV with a frozen campfire. The Icehotel is made from 2,500 ice blocks—each of which weighs 2 tons—that are harvested from the nearby Torne River in March and kept stored until construction on the hotel starts in October. In the spring, the hotel melts back into the river. 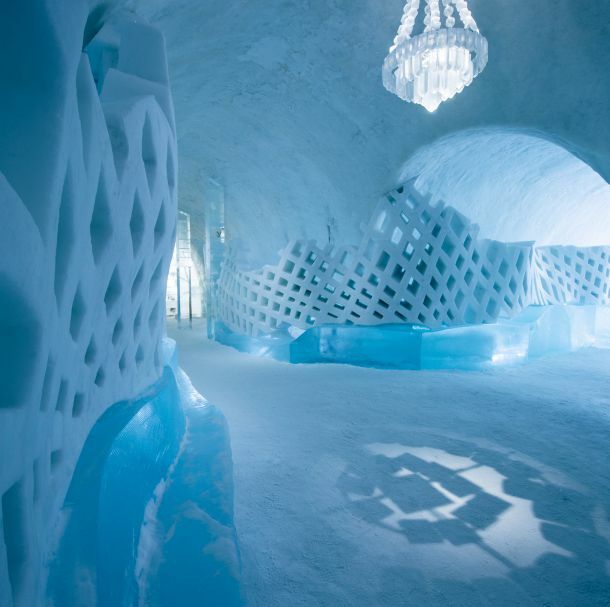 If you're just itching to channel your inner Elsa and visit this frozen fantasy land, you can book a room at Icehotel Sweden. And don't worry—you won't freeze in your sleep, thanks to the special sleeping bags every guest is given. 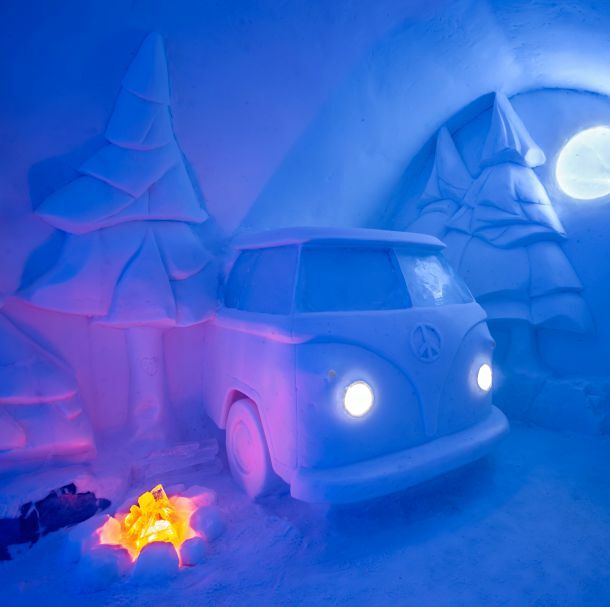 Oh, and just in case you can't make it before it melts away, don't worry—you can also visit Icehotel 365, a part of the Icehotel that was built in 2016 and stays open year-round.